Congrats Rebecca on your sale! 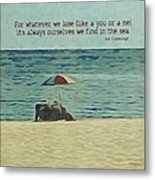 Rebecca, Congrats on your sale! 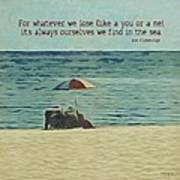 Original art titled Lost and Found by Rebecca Korpita of a serene beach scene featuring a couple under a colorful beach umbrella with a wonderful quote by E.E. 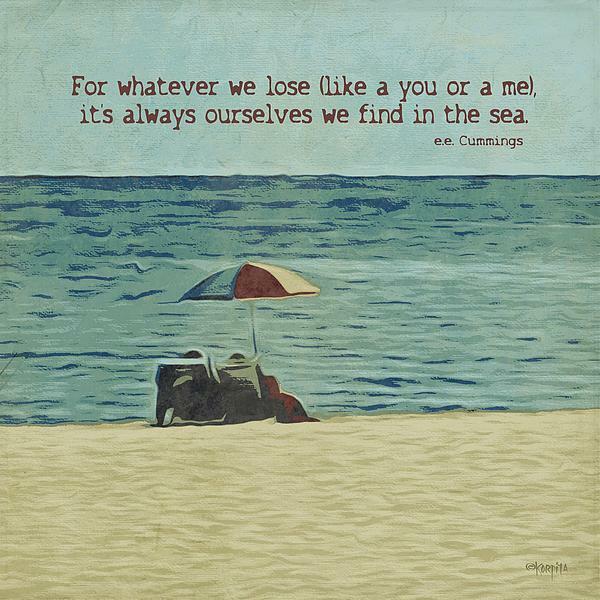 Cummings about the sea makes a fun beach house or inspirational coastal print. 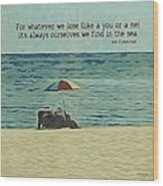 This is an original photograph that has been given a unique screen print effect with a nautical color scene.